While I am not one to normally care for the big events from Marvel or DC, there is a perfect storm of quality writing and interesting stories that has me back on the bandwagon. Secret Empire feels reflective of a lot of what is currently happening in politics and is written by Nick Spencer of Morning Glories fame. DC's Metal event is bringing back the dynamic duo of Scott Snyder and Greg Capullo, whose Batman run is one of the best I have ever read. I am not sure if it is the fact that these events are being led by some of my favorite talents in the industry, or if Marvel and DC are turning a page in terms of the impact of said events. They obviously sell issues, which with the growth of smaller publishers is needed for both, but I like to think that they are trying to tell compelling stories that will bring in new readers who are getting introduced to the two through their cinematic offerings. Dark Knights Metal #1 - Reunited and it feels so good! Scott Snyder and Greg Capullo have rejoined forces for a new DC event. The DC Universe finds itself in the Age of Metal and I feel I need a proper soundtrack to listen to as I read this book. I didn't get to make it to one of the midnight release parties, but this event is off to quite the fun start. Mongol has trapped the Justice League on his war moon and has crafted armor to limit each heroes abilities. To make things worse they are forced to battle a group of robots in a coliseum for the amusement of everyone else on the moon. Upon escaping and returning to earth, the JL is surprised to learn that a giant mountain has risen in Gotham City. 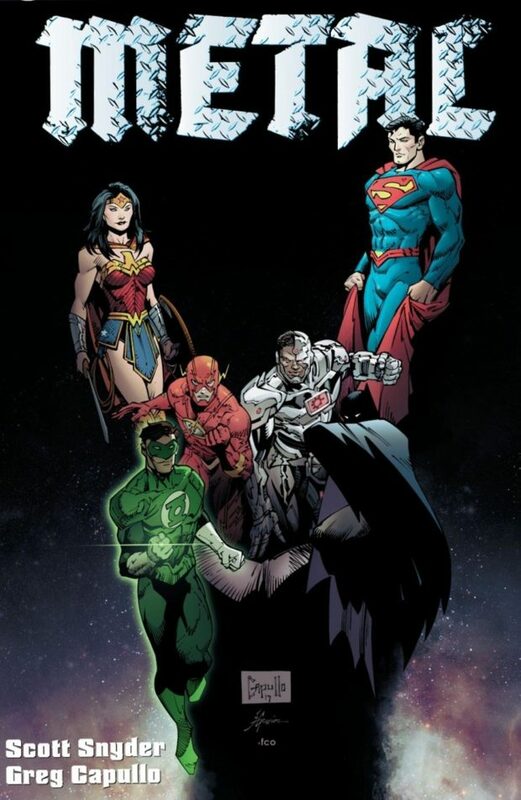 Without spoiling anything, Snyder is tapping deep into the DC vaults and bringing things back from before the New 52, including a bombshell that was leaked early, but one that I won't spoil. 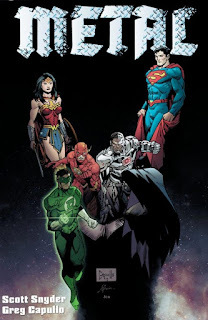 The final reveal (you can Google it if you are curious) is one of the most jaw-dropping moments I have experienced as a casual DC reader and has me chomping at the bit to go back and read some older titles. I have read that Snyder reached out to the character's creator and has permission to bring this being into this event as a central character. One that could have a lasting impact on the DC Universe, or one that will mess with the heroes for a good story, and then return everything to the way it was. This series looks to be absolutely bonkers and a heck of a lot of fun. Southern Bastards #17 - All out war has broken out in Craw County and it isn't pretty. Coach Boss opened up a can of worms when he injured a player from Locust Fork. 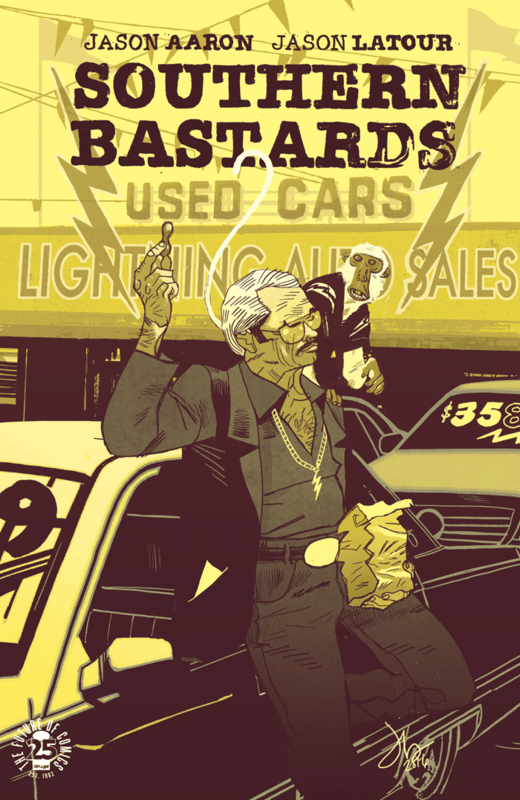 Jason Aaron does not pull any punches in this issue that features a car dealing, monkey owning, Burt Reynolds-esque character named Colonel Quick McKlusky. I swear this comic gets darker and more violent with each issue, but high school football in the south is no joke and Coach Boss is desperate for a win. It looks like a resolution has been reached, but it doesn't look good for the Rebs. Still enjoying this series and anxious to see what happens in the big game. All New Guardians of the Galaxy #8 - Drax's vow of non-violence has been broken and Rocket has been poisoned. While the Guardians were able to fight off the Shi'ar Raptors, it isn't looking good for the crew. Wielding one Nega-Band, Quill invades the Raptor ship to find the antidote and get the other Nega-Band back. Quill is able to pull a fast one on the Raptor, who knows who Star Lord is, and return with the anti-dote. While he may have sacrificed the Nega-Bands, Star Lord has no idea of the dangers that await him and his crew. The only one who does is Groot, and with Rocket on the mend, I doubt anyone else will understand what they are up against. 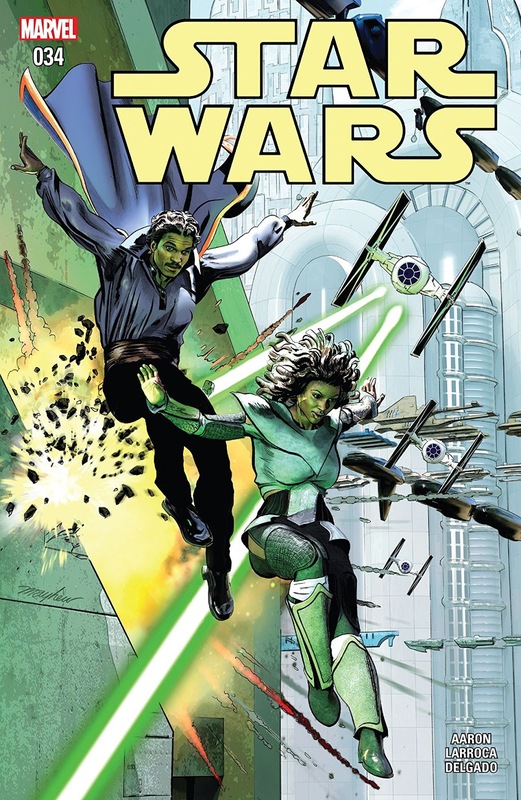 Star Wars #34 - It is hard to believe that is has been 34 issues since Marvel got the Star Wars license from Dark Horse. I have really enjoyed the Marvel run and this issue is up there with the best of them. We met Sana Starros, who was once rumored to be married to Han Solo, earlier in the series, but haven't been able to appreciate her properly until now. She is tangled in a smuggling operation with Lando, and it is clear why she would be associated with someone like Solo. 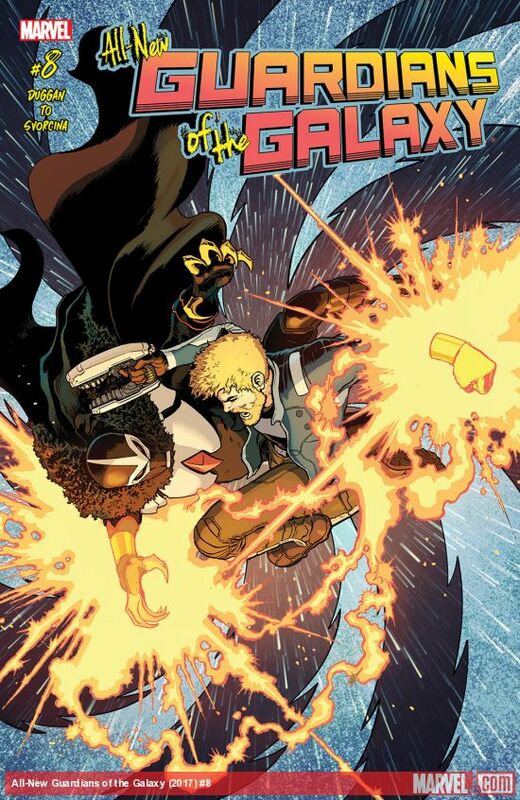 Always two steps ahead of who she is working with Starros weaves a tangled web of deception and stolen blasters that is quite the enjoyable tale. Definitely one of the stand out issues thus far in this series.